Nathanael: I want to see how the trenches play on both sides of the ball. 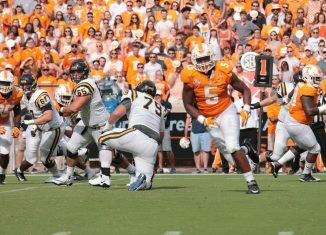 How Tennessee’s offensive line and defensive line perform this season will be the anchor for the team. 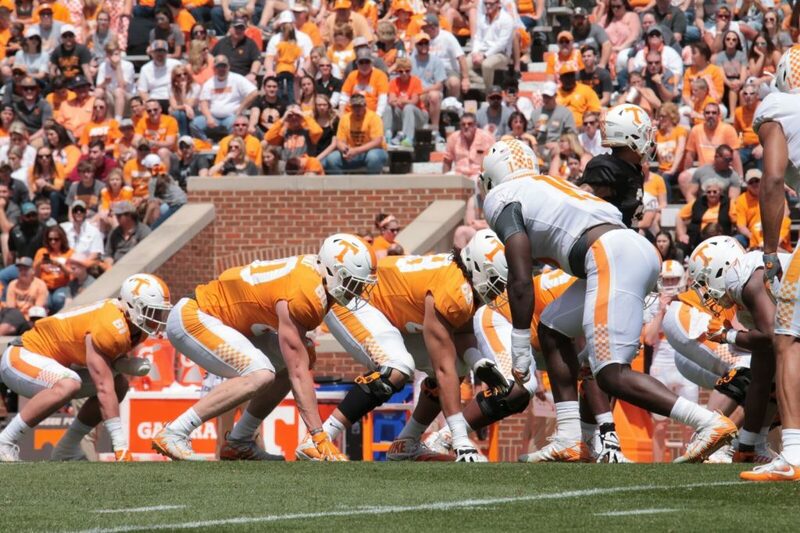 The Vols still welcome in some potential starters on both lines this summer, but getting to see some progress from both lines on Saturday would be nice. Ben: I would say the defensive line has to take a big step forward. The group has had a tough time this spring, and if it continues it could set the defense back this season. 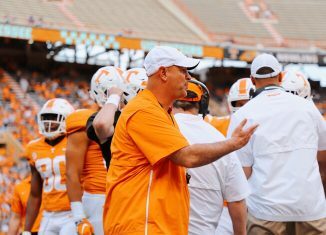 Tennessee has some pieces in the secondary and at linebacker, but the defensive line has a bunch of guys that are unproven. 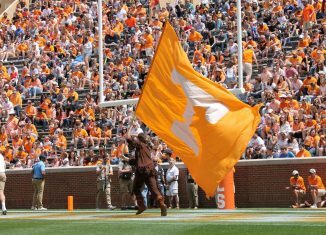 The Vols need someone to step up and Savion Williams to be ready to play when he steps foot on campus. 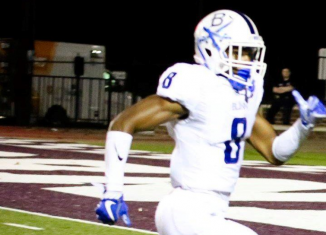 Nathanael: I don’t see any of the early enrollees outside of Wanya Morris starting on Week 1, but I definitely see a couple being in the two-deep like you asked. Quavaris Crouch is the easy answer at linebacker, but I also wouldn’t discount Warren Burrell at nickel corner, Jackson Lowe at tight end, or Jaylen McCollough at safety. Ben: Quavaris Crouch is the easy answer. Daniel Bituli and Will Ignont will likely be the starting inside linebackers against Georgia State on Aug. 31, but Crouch will receive plenty of playing time between the two veterans. Crouch already has the size and natural instincts to be a key contributor. Once he gets the playbook down, he could be a freshman All-American. Nathanael: Honestly, I think Bone stays in the draft. 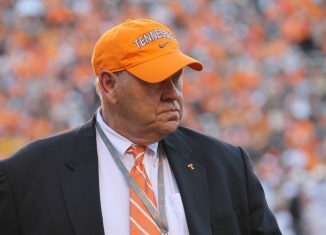 At this point, it would surprise me if he came back for his senior year at Tennessee. I don’t think it’s a guarantee he stays in the draft, but I definitely feel like he is. As for Williams, I just have a strange feeling that he’ll be back for next season. Call it a hunch if you want to, but I’m going with my gut on this one and saying he comes back. I know I personally don’t think he’s quite polished enough to be a first round pick, but this year’s draft class is a little weaker than others have been. So maybe he gets the type of grade he wants and leaves. But I’m going to say he stays. Ben: The most likely scenario in my opinion is that neither come back, although it wouldn’t surprise me if either return to school. This draft class is weak from top-to-bottom, and as a result, I believe Bone and Williams would benefit from leaving. I don’t know that they would be drafted any higher in the 2020 draft than this year’s draft if they were to come back for another season. Bone seems set on leaving and should Williams receive feedback that he’ll be a first round pick, I think he’ll leave as well. 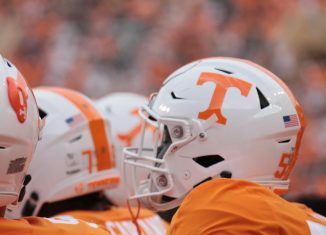 Nathanael: Right now, the Vols haven’t really been reported to have contacted any bigs on the transfer market, but it wouldn’t surprise me to see them go after someone. 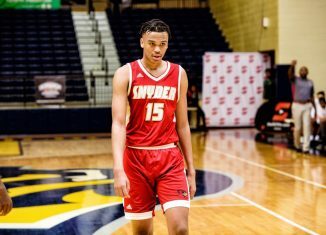 They are pursuing two versatile 6-foot-8 forwards in the 2019 class as potential late additions to their 2019 signing class. 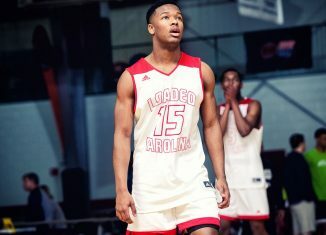 That will be worth watching, as will whether or not four-star point guard Jalen Cone reclassifies to the 2019 class and signs with the Vols. As for anyone currently on the roster transferring out: I fully expect at least one person to do so. 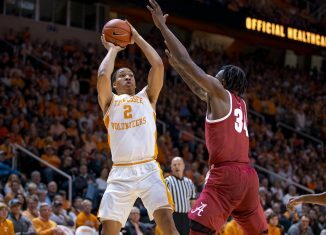 Ben: I imagine they are in order to prepare for the circumstance that both Jordan Bone and Grant Williams declare for the draft. 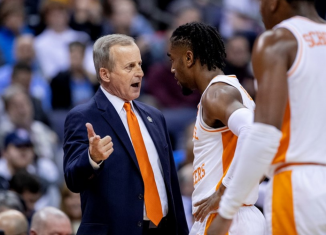 I don’t know if Rick Barnes is identifying well-known transfers, but rather focusing on who will be the best fit and I’m sure he has done his research on the Nevada transfers. I don’t know if anyone on the current roster will be nudged out, but it wouldn’t surprise me if a big man or two transferred. Nathanael: I’m still very much in “wait and see” mode with the hire, but honestly, she’s grown on me over the last few days. I like her attitude and the fact that she’s been a head coach before. Her record at NC State does really concern me, but she was also very young when she took over there and has hopefully learned from her mistakes there. 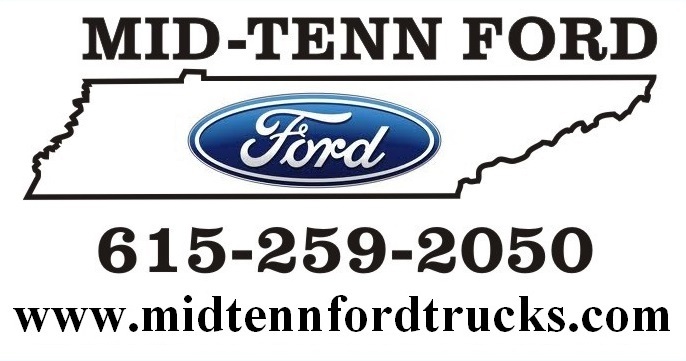 It seemed like she did while at Missouri State, but that’s at Missouri State; that doesn’t compare at all to Tennessee. 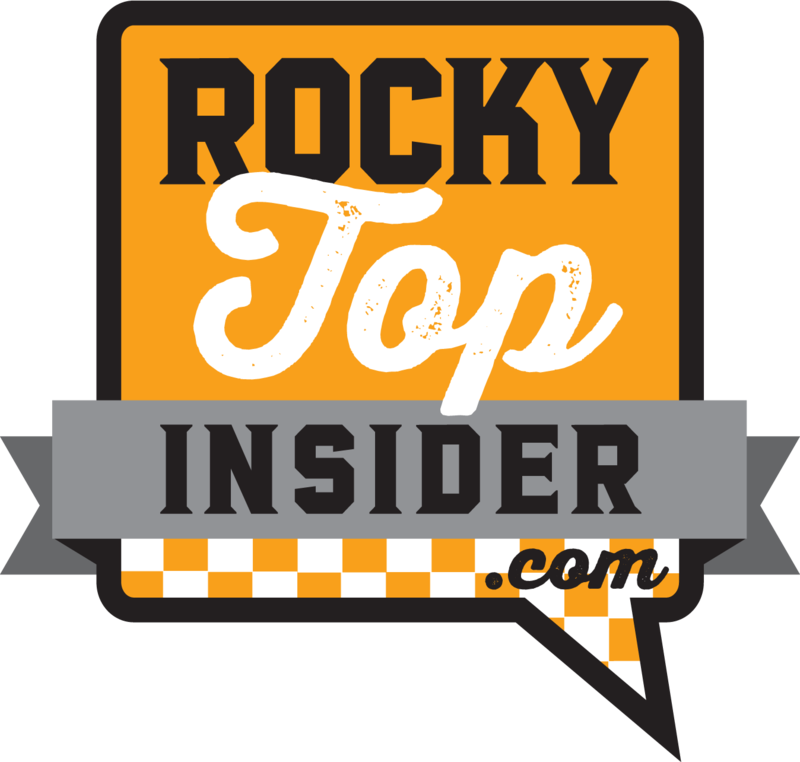 I think we’ll know by her second year whether she has what it takes to get the Lady Vols back on track. I’m not saying she has to make it to the Final Four in her second year for her to project as successful, but I do think a culture change after her second year is done will be evident or not. That’s the main thing that needs to change right now. Ben: The hire has really grown on me over the course of the last week or so. 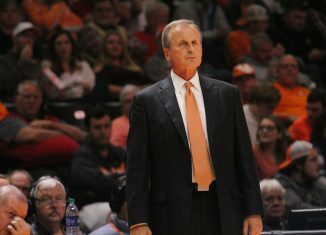 I love her energy, passion, and excitement for the Lady Vols basketball program. She’s focused on making sure the team is disciplined in everything they do, which is what has been missing the last couple of years. I think she’ll do well. Nathanael: Probably any day now. The pitch on Tuesday and Wednesday with all the social media posts from Peyton, Tee, and the like was that she was part of the winning tradition of the 90s. I think you’ll start to see some of her former teammates put out statements soon, and maybe even other Lady Vol greats like Kara Lawson and Candace Parker, too. Ben: That’s a good question. It’s been a little weird, but I wouldn’t read too much into it. 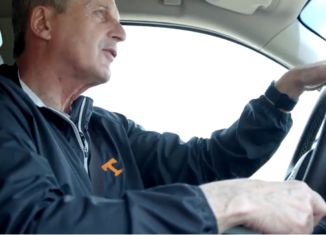 I’m sure we’ll start to hear from former Lady Vols over time.